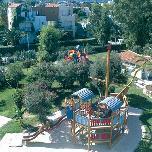 In the heart of Ialyssos, 5km from Rhodes old town and only 80m from the shingle beach of Ixia. 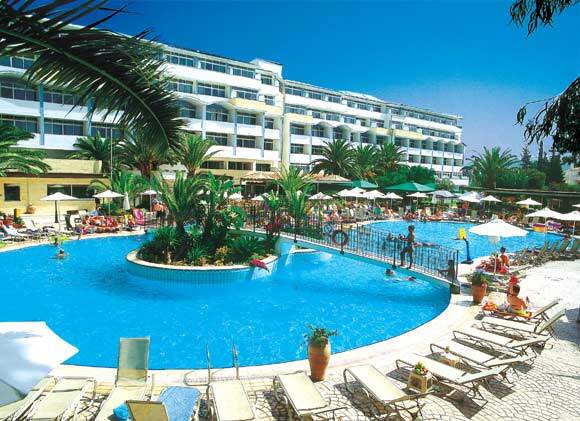 The hotel is ideal for holidaymakers of all ages looking for a fun-filled holiday or willing to explore the island of Rhodes. Lagoon-shaped swimming pool, separate children's pool, gym, table tennis, archery, darts, billiards, children's playroom and playground, full range of daytime activities and international evening entertainment. At Atlantica Princess you can exercise your passion for excitement in so many different ways. 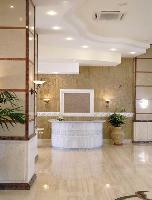 The Hotel offers an extensive entertainment program that guarantees to keep you busy all day long. A variety of entertainment and sports is certain to appeal to everyone. Wouldn't it be great if your kids could have fun and be well looked after in full-filled supervised recreational programs, while you enjoy sunny days and carefree nights at leisure? This is what family holidays at Atlantica Princess mean, and these are just some of the facilities we offer to our young guests. Non-smoking, buffet-style restaurant, pool-side taverna, pool bar, lounge cocktail bar, children's meals, early suppers. All Inclusive option available. Serving Buffet breakfast and dinner. Situated just a jump out of the swimming pool, giving you the freedom of a 'wet' lunch with no dress code required. Offering daily Buffet lunch. A la Carte Snacks Menu available. A favourite venue for a break from the busy life of a holidaymaker, it keeps you cool before, after or in between swimming. This is also the place where your drinks will be served from, while enjoying the variety of evening entertainment. Είστε ιδιοκτήτης ή διευθυντής στο ATLANTICA PRINCESS; Εγγραφείτε τώρα για δωρεάν εργαλεία, που μπορείτε να χρησιμοποιήσετε για να βελτιώσετε την καταχώρησή σας και να συνδέσετε την ιστοσελίδα σας και το σύστημα κρατήσεών σας.